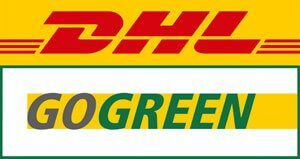 At DHL, they call this GOGREEN. Hermes Radbotinnen have been delivering by bicycle in Vienna for over 25 years. Because in the city, the bike is the undefeated express vehicle. We just leave the cars behind in the traffic jam. If you want to be sure that your shipment reaches its destination quickly and reliably, we are happy to help. We cover the whole city exclusively by bike: to the city limits and sometimes beyond. 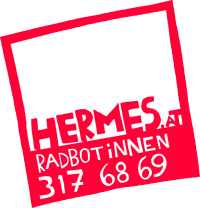 Hermes Radbotinnen cover more than 100,000 km a year. Thus we avoid – over the same period – the emission of more than 20,000 kg of CO2 into our environment. We will gladly deliver larger, heavy and bulky goods for you by means of HermEsel or PartnerBotendienst (by cargo bike or motor vehicle, if applicable). Hermes is the only grassroots democratic courier service of the city, conducted jointly by the drivers. Important decisions are discussed and made in plenary and are reflected in the self-conception of the collective. Our couriers are not paid per order, but get a fixed hourly wage. Custom commission wages in the industry lead to stressed couriers, who easily make mistakes. We do not compete with each other, but work together as a team.